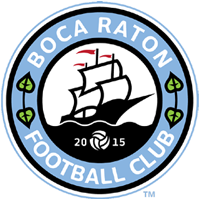 BOCA RATON, FL — Boca Raton Football Club is pleased to announce the signing of Luke Ferreira for the upcoming 2017-18 season. In seven games in the APSL Fall Tournament, Ferreira is already making his presence felt as the second leading scorer with nine goals this season and trailing the first place by only three goals. Ferreira spent time with the Fluminense U16 before going to Portugal to play for Sertanense FC of the third division. The 6-foot forward played at Eastern Florida State during the 2015 season where he recorded 14 assists as a freshman with the Titans and EFSC finished third in the NJCAA national tournament. As a high schooler, Ferreira helped lead American Heritage School to the 2A state championship. In 2016 Ferreira played for Stetson University, where in his lone season earned second-team All-ASUN honors. Ferreira also led Stetson in goals (4), assists (4) and points (12) in his only season with the Hatters.